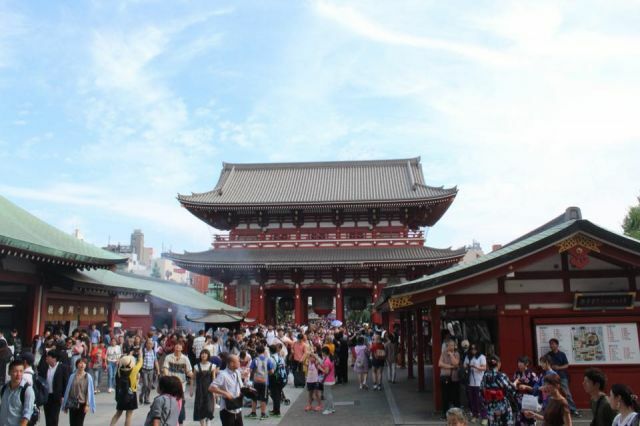 “What surprised me most about Tokyo is that it is so calm,” Our friend Mike tells us over cold beers and plates of steaming chicken fried and breaded, rolled into succulent skewers, and charcoal grilled. Smoke rises up out of the black iron skillet of charcoal chicken, a Japanese specialty and surprisingly delicious despite its deep black exterior. After several weeks of frenetic sorting, organizing, packing, and tying up loose ends in Guangzhou, we thoroughly agree with his assertion. 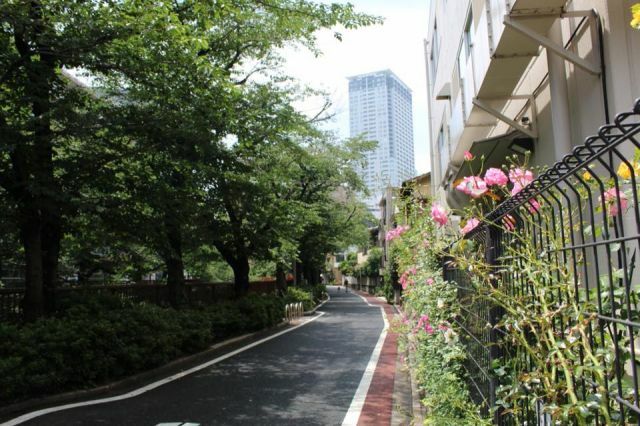 For all our preconceptions of neon streets, bustling intersections, and glittering chrome skyscrapers, Tokyo stuns us with its quiet one-lane roads, its intimate neighborhoods, its clean-swept sidewalks. We have been looking forward to Tokyo for months, ever since we discovered that we could take a rest stop in Japan on our move back to the U.S. The promise of five days of vacation there was sometimes the one shining light when faced with last work projects, a sea of boxes, overflowing and overweight suitcases, and the continual bittersweet goodbyes with friends. Having said a lot of goodbyes in my life, it still never gets easier. A constant flow of sudden realizations that this is the last time I’ll sing with my friends from choir, my last over-priced salad at the Western restaurant we’ve come to love, the last soup dumpling, the last hug with my pregnant friend whose baby I most likely won’t get to meet for years, the last sign-on to my work computer, the last time getting in the car and leaving home. After a while, the lasts make you ready for firsts. 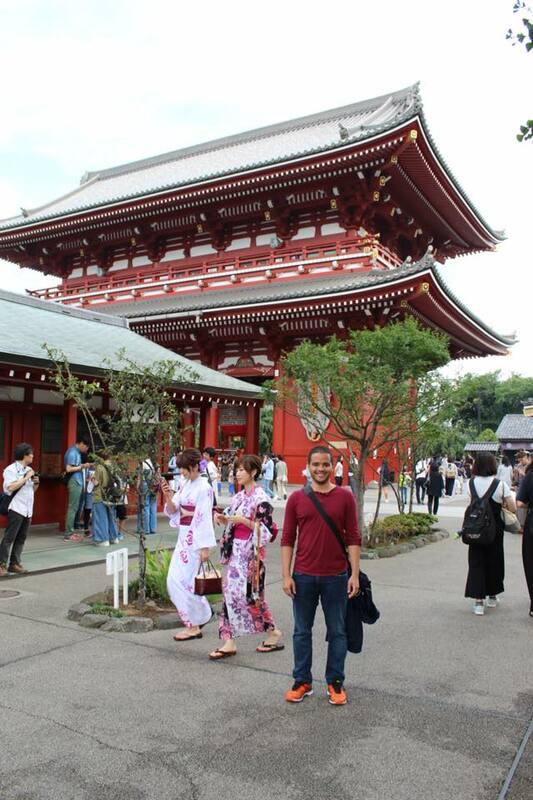 And our first time in Tokyo is wondrous. The ex-pat life has many perks and one of the biggest is getting to crash at friends’ places all over the world. Our friend Mike, who overlapped with us briefly in Guangzhou, has been in Tokyo for a year and welcomes us warmly to his apartment in the heart of Roppongi. 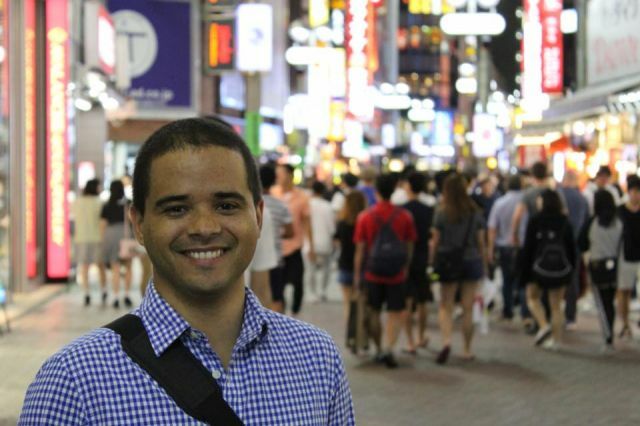 We listen jealously as he describes his work and life in Japan and chime in with comparisons to the hustle, bustle, and dust of Guangzhou. We repeat over and over, “We loved our time in Guangzhou, but…” because right now, China has worn us out. 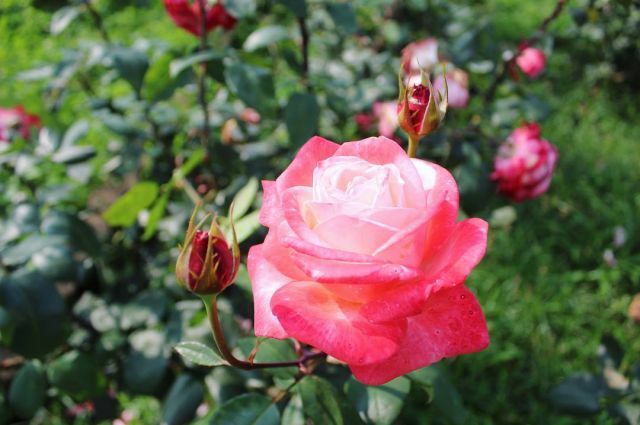 With time, all the wonderful experiences, incredible trips, gorgeous food, friendly people will rise further up in our memories, and we will cherish our time in Guangzhou. Now, though, we are tired. Tired of the dirt, the humid heat, the constant first world inconveniences, the crowds, the quality of the food, the air, the water, the internet, tired of the traffic, tired of always being ready to negotiate, to adjust, to find the silver lining. Tired of ourselves complaining and then qualifying. It’s like I wrote on Facebook as I prepared to leave- I, like many ex-pats, have a complicated relationship with China. It has worn me down, but I will love it forever. I am ready to leave but will miss it terribly. Tokyo is a sweet salve that soothes away our tired nerves. And, because my body finally knows it can, I immediately succumb to a terrible cold. Despite being a walking container of snot the entire time, I thoroughly enjoy our trip. Tokyo doesn’t have a defined center but is spread out across 47 neighborhoods, each with a different character. 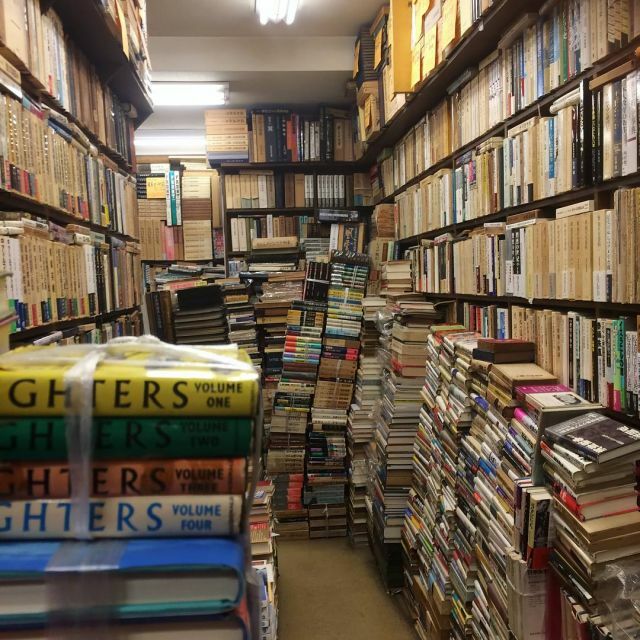 Most that we explore are calm and relaxed, like understated Nakameguro, a hipster paradise of boutiques, coffee shops, and dog grooming salons tucked into short buildings along a tree-lined canal. 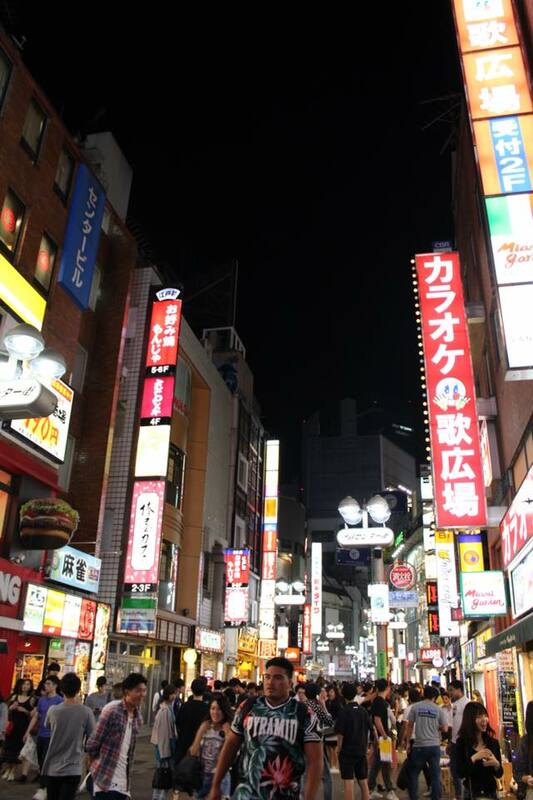 Others, like busy Shibuya, match our expectations, with crowded streets, insane fashions, and a steady thud of electronica. As I read in travel guide after travel guide, Tokyo is a study in contrasts. It champions legacy and innovation, the historic and the brand new, it caters to every whim and fancy, it is demure and reserved. We feel the dichotomies most when crossing from one neighborhood to another. One night, we take a wrong turn in Shibuya and end up in a sleepy residential area, golden lights lighting up narrow streets, couples walking slowly arm in arm and murmured conversation rising gently into the open air. Setting ourselves right, we walk a few more blocks into a frantic landscape of color and sound, obnoxious commercials playing loudly on huge screens, every open surface covered in capitalistic appeals to buy more, be more. We join a crowd of thousands in walking across one of the busiest intersections in the world, all manner of fashions, fads, and fetishes on display. When planning the trip, I purposefully avoided scheduling too many activities. Our one reservation is at a fancy restaurant to try sushi prepared by a master chef. After exhausting ourselves walking around, we gratefully duck into the small restaurant and settle into our seats. Though not at the bar, we have an excellent view of the chef as he prepares each piece of nigiri with the aid of long, wicked-looking knife. The atmosphere in the restaurant is subdued, the twelve other patrons raptly watching the chef and asking the occasional question about his craft. To be honest, Amaury and I are nonplussed by the whole experience. 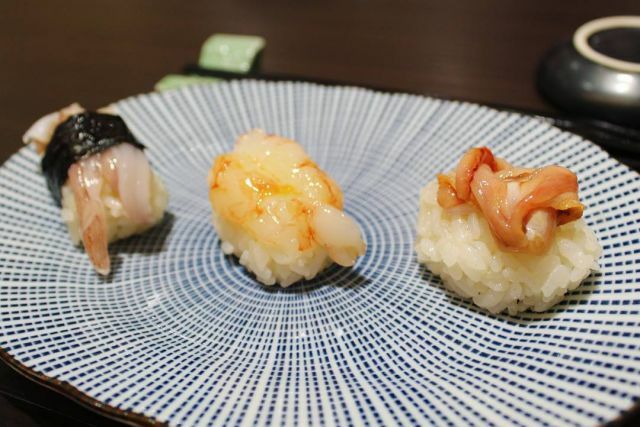 Our sushi comes out perfectly prepared but in meager portions lacking in taste or love. Apart from a couple glittering moments – soft crab legs delicately placed over tangy rice and wasabi, artfully prepared omelet that tastes light and sweet – we find ourselves with not much positive to say. We realize that the heart and character of the food have been lost in the careful over-preparation of each piece of fish. 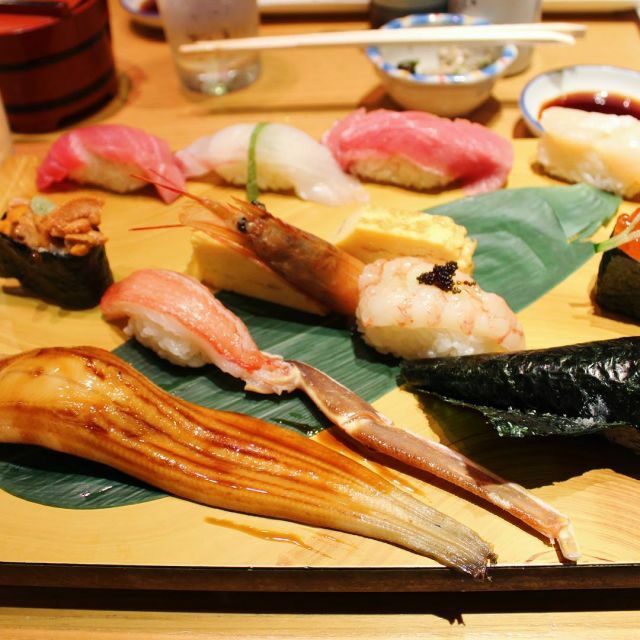 We leave scratching our heads and resolve not to waste our time on expensive sushi again. 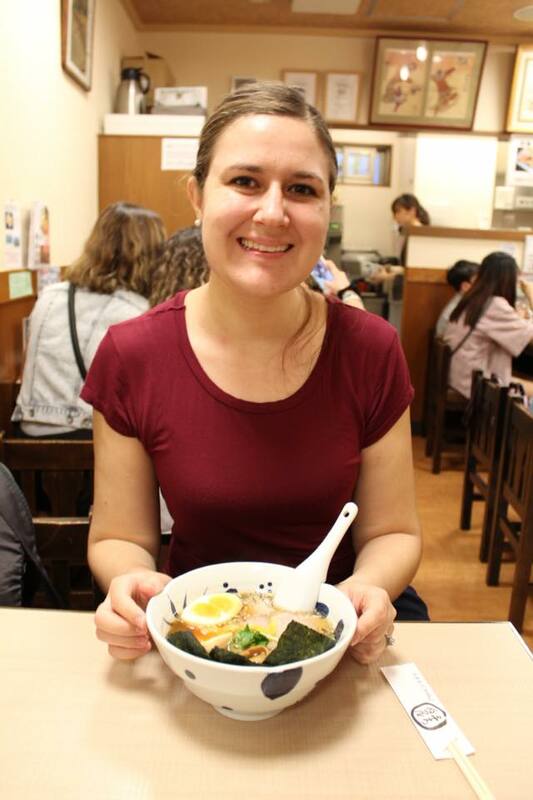 The very next day, we head to another sushi restaurant, Sushi No Midori, with our good friend Michelle, who is in Tokyo with a friend. The four of us put our names into the long waiting list because the restaurant comes recommended by Mike. 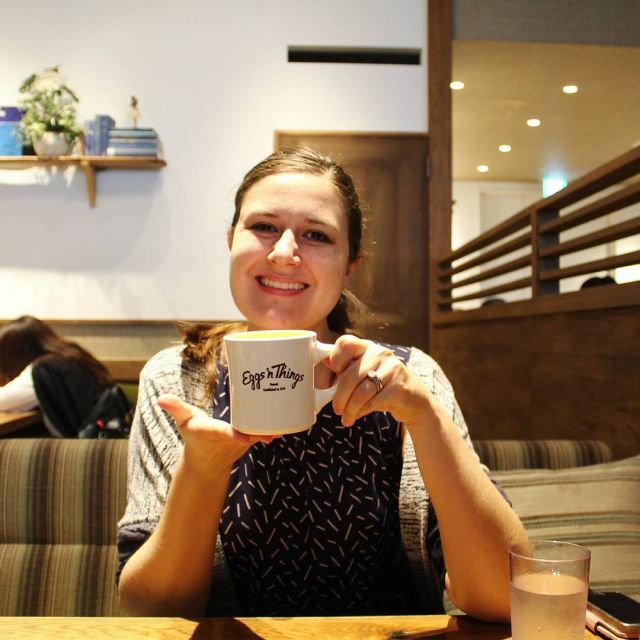 We grab a ticket and head downstairs for a leisurely wait at Aoyama Flower Market, my new favorite cafe that is part flower shop part tea house part stylish bar; a place where you can buy flowers, tea, and mojitos? 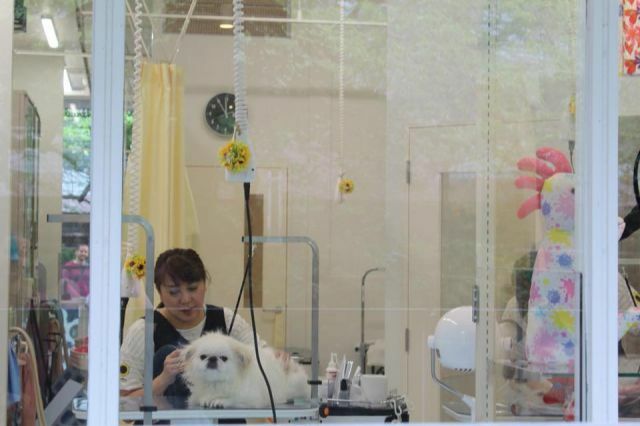 Like most everything we come across in Tokyo, it is cute, functional, and an awesome idea. We sit outside, me wrapped up in a blanket provided by our waitress and nursing some ginger tea for my cold and the others sipping sangria and beer. Eventually, we mosie back upstairs and order giant plates of sushi that satisfy our most basic requirement, that it be delicious. Word to the wise, in my experience, $20 sushi is better than $100 sushi. Our four days in Tokyo go something like this: wake up and take cold medicine as needed (me), eat yummy breakfast/brunch somewhere (Mercer Brunch, Egg N’ Things, Blue Bottle Coffee, Eggcellent), head to a cute neighborhood on the highly efficient metro, top up with some craft coffee (the Roastery, Green Bean to Bar), wander around, duck into a bookstore or little shop, grab some lunch or a snack (a tasty pastry, ramen), hit a cultural site (Edo Castle and gardens, Sensoji Shrine), head home for a little rest, then back out for dinner, and wandering around enjoying Tokyo by night. Intermittent rain and blazing sun reveal a city beautiful in muted gray, radiant under a bright blue sky. We fall into a rhythm that makes us feel like we’re no longer traveling but settling in. It certainly is a routine I could keep up for a while. On Monday, Amaury goes for an informational interview to learn about possible opportunities here (yes please), and I go on a long, leisurely stroll to the Tokyo Art Center where I spend a glorious hour mainly in the museum shop. Walking around, lost in my own thoughts, I feel a weight somewhere behind my breastbone release, and I carry myself a little lighter. We made it. Two years later and we finished our time in a place that challenged as much as it exhilarated us. I feel the lightness of finishing the last final exam before summer. I’m thankful to Guangzhou for the lessons, I’m thankful to Tokyo for the pause, a sweet ellipsis before heading back to the US and the next chapter. 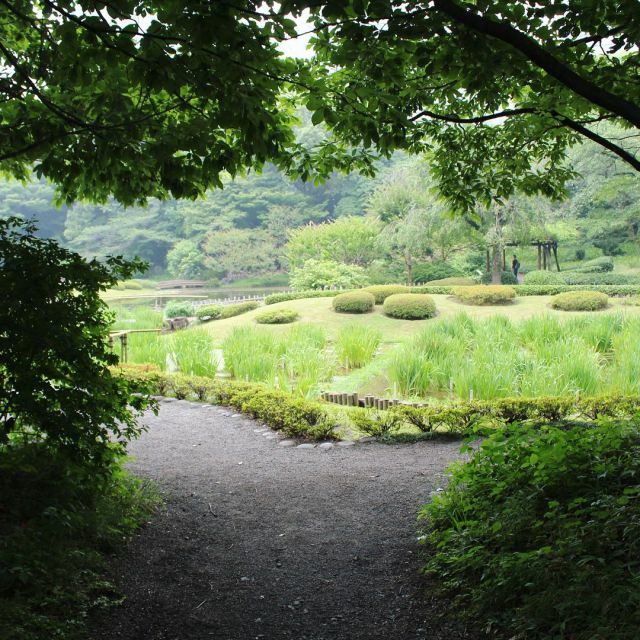 When I think of Tokyo, I remember cleanness and clarity, order overlying silliness and humor, dappled sunlight through trees, fresh air, and fresh pastries. Along the Nakameguro canal, we stop in a chocolate shop, Green Bean to Bar, a dangerous place for this recovering chocaholic. I pick the one none-chocolate item in the pastry case, a light and airy cream puff (that turns out to have chocolate mousse inside, but Amaury forgives me for eating it anyway). 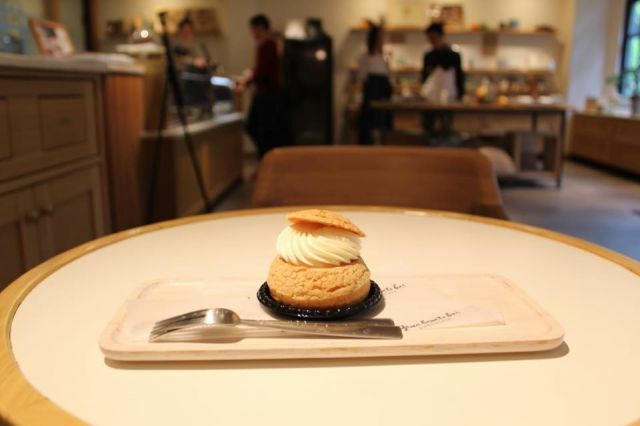 Our Tokyo trip is the taste of the best cream puff I ever tasted; it is subtly sweet, slightly decadent, and, as much as it seems like an extra indulgence, needed. Even with my stuffy nose and tired heart, Tokyo is a treat.